2,000 + Square foot Grey-stone building on an oversized 3,750 Sq. Ft (25 X150) lot. Zoned RT-4. 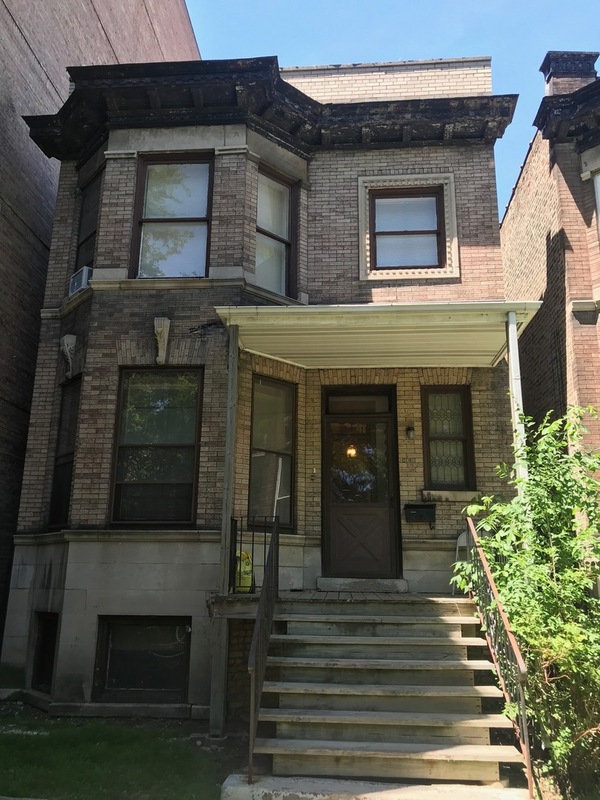 Cook County Tax records list the property as Class 2-11 (Two to six residential apartments, any age). Currently the layout lives as a single family home with 4 bedrooms, 1 Full bath on the top level and 1 - 1/2 bath on the main level. Seller is a non-for-profit. Building needs a lot of work, most likely a tear down. Sold as-is, where-is. Cash only and no contingencies will be considered (NO EXCEPTIONS).